Cormac Cannon began learning the whistle from Mary Bergin at an early age. He took up the pipes some years later, learning initially from Tommy Keane and later from other prominent players during regular visits to the Willie Clancy summer school. He has toured and taught in Ireland, Japan, Africa, the USA and throughout Europe. In 2011, he recorded the album "The Trip to Carrick" in collaboration with Lamond Gillespie and John Blake. Other recorded output includes The Cobblestone Sessions (Mulligan 2002), Rogha Scoil Samhradh Willie Clancy 2008 and a series of albums recorded by his mother, harpist Kathleen Loughnane. 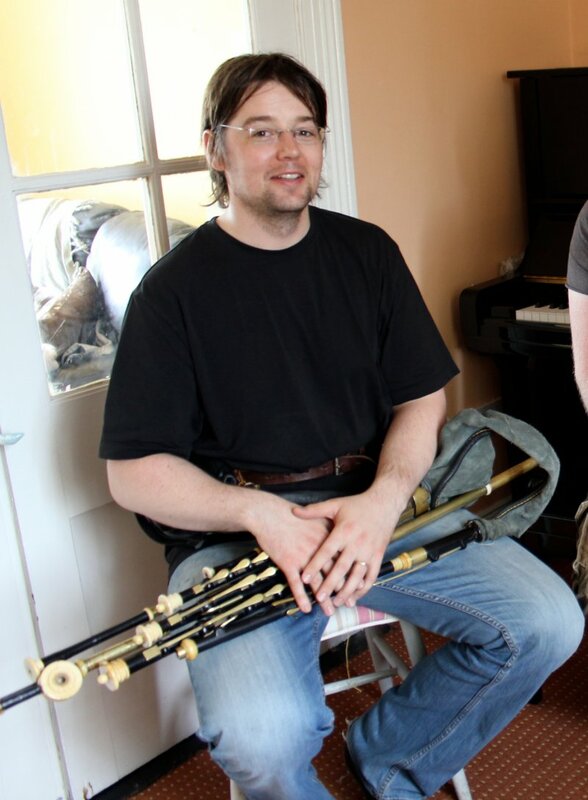 Cormac has a keen interest in the music of the older pipers and fiddle players, particularly the music of Clare and Kerry, and a preference for the sound of the flat-pitched pipes. Mareka&Junji is the Duo who play Irish music,Japanese music,Bluegrass music and more..
A musician, teacher and promoter, Karen Ryan was born in London to Galway and Mayo parents It was a strong Connemara tradition of melodeon players and traditional singers on her mother’s side that initially fired her love of the music. As a founder member of the renowned traditional Irish six-piece, The London Lasses and Pete Quinn, Karen has performed at some of the world’s most prestigious festivals and concert halls, including Dublin City Hall, Cambridge Folk Festival, the Concertgebouw (Amsterdam), Ennis Trad Festival, Glastonbury, Philadelphia Irish Festival and the Royal Albert Hall, where the band performed the first ever BBC Proms céilí in 2008. The band have recorded four albums to date. 2015 sees the release of the band’s fifth album ‘The One I Loved the Best’ - now joined by Chris O’Malley. Whether as a teacher with Meitheal Cheoil in north London, a workshop leader or an adjudicator both in the UK and overseas, Karen continues to pass on the tradition to both young and old. Through her role as Director of the Return to Camden Town festival of traditional Irish music, song and dance, she is also an award-winning promoter. Now in its seventeenth year, the festival has become a key date in the Irish music calendar and celebrates the historical link between Camden and traditional Irish music.